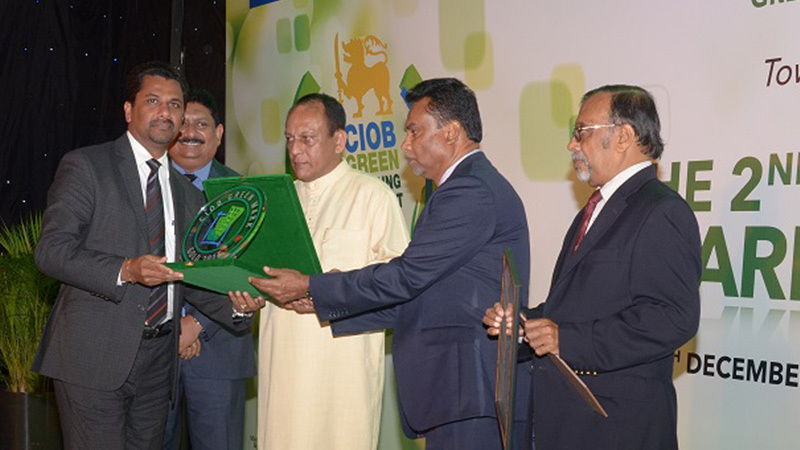 “McFoil” Market Leader in Sri Lanka of domestic Heat Insulation was recently awarded with the Green Products Certificate at an Awards Ceremony organized by Ceylon Institute of Builders at Hotel Galadari. The Green Mark – Gold Award was presented to “McFoil” by the Ceylon Institute of Builders together with accreditation by the Building & Construction Authority of Singapore and Admaterials Technologies (Pvt) Ltd of Singapore. “McFoil” Products were evaluated, based on assessment criteria such as Energy efficiency, Environmental Protection, Quality and Health and Material, Resource and Performance and was successfully passed as per International Standards. “McFoil” is Manufactured and Distributed by Macbertan (Pvt) Ltd, an ISO 14001 Certified Company. As stated by Mr. Cheminda Amarasinghe Director / COO wining this Award is a testimony to our efforts for continuous Product development and also Manufacturing Products which are Environmentally Friendly.